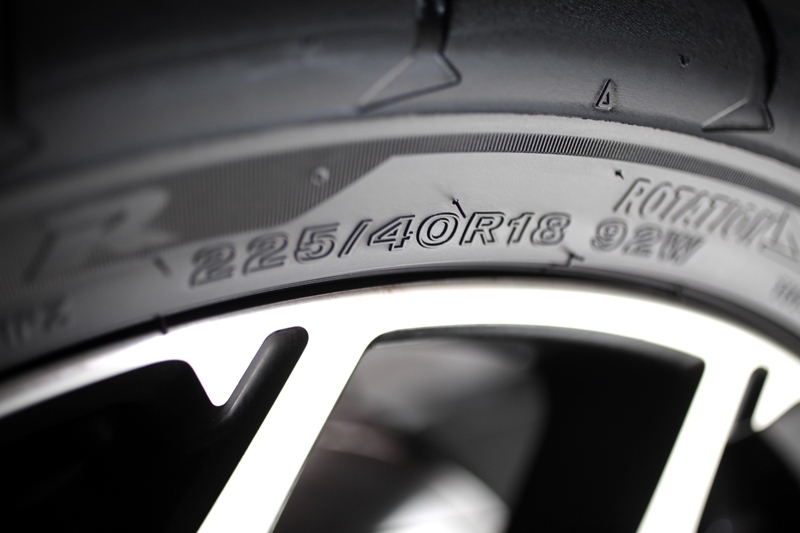 When one mention the words ‘sporty tyres’, the mere thought of bumpy rides and loud noises immediately comes to mind; which is why such a tyre proved to be highly popular only among enthusiasts who drive highly modified machines whose primary need in a tyre is grip, grip and more grip. Everything else is secondary. 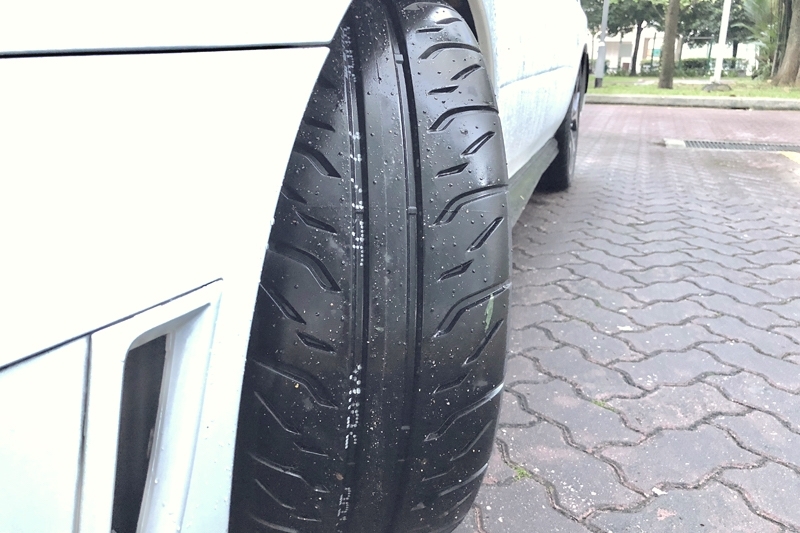 Like you readers, yours truly here have had his fair share of running on such performance-biased (aka semi-slick) tyres as well; namely the likes of Falken Azenis RT615, Yokohama Advan Neova AD07 and AD08R and Toyo Proxes R1R. 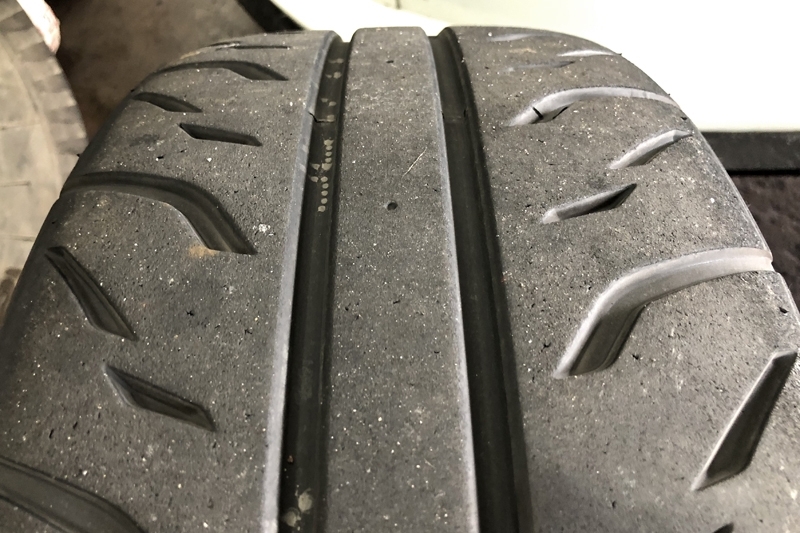 Based on my experiences, those tyres perform extremely well in the dry, more so if the car has been shod with aftermarket coil-overs and adjusted cambers. But wet performance and noise, well, they all are very different from each other. The RT615 is scary when it’s pouring heavily and you have water puddles to look out for; the AD07 and AD08R both wear out pretty fast and when you’ve accumulated close to 20,000 km, be prepared to get a new set (especially when you drive hard almost all the time); the Proxes R1R, although with good grip when the roads are wet, give you the impression you have a worn bearing somewhere past 10,000 km (yes, it’s that loud!). Which was why after years of driving and – ahem – aging gracefully, my preference for something more comfortable (and less audible) took priority. 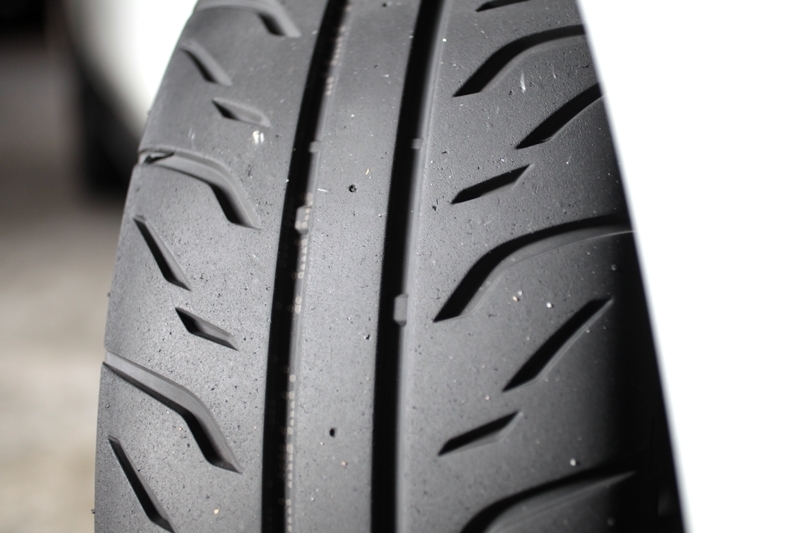 I settled for street tyres, the Michelin Pilot Sport 3, after the last Proxes R1R. 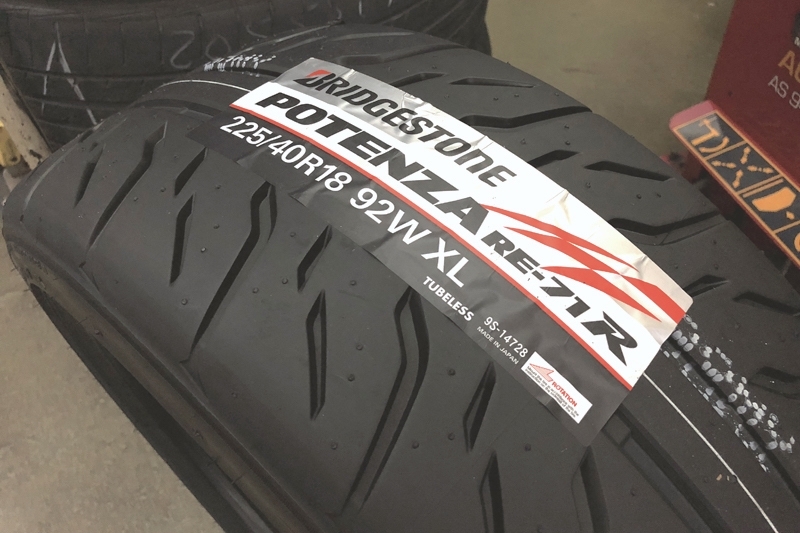 Bridgestone claims the RE-71R is tuned for maximum handling on track and engineered to deliver faster lap times; the magic here is a newly developed thread compound that increases contact with the road surface, at the same time giving more grip when cornering and braking. All that is no lie, my friend. 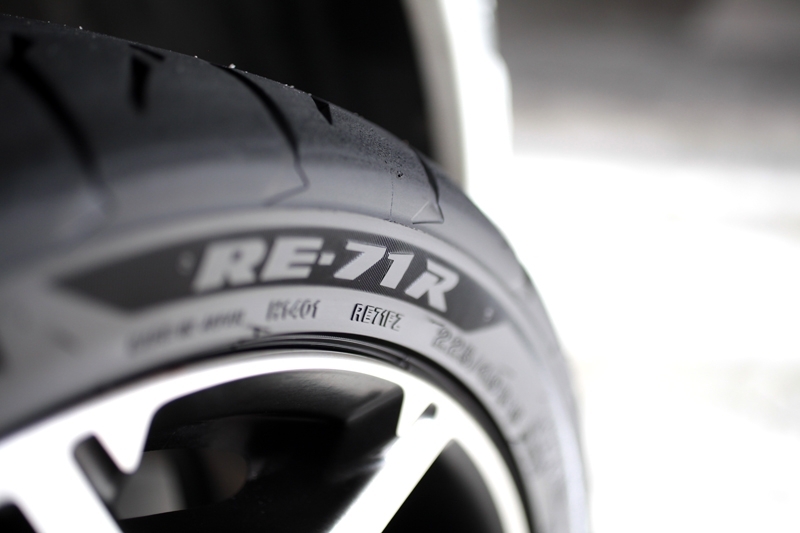 In the dry, the RE-71R provided superb grip levels on my lightly tuned Subaru Impreza TS. It complimented the coil-over (set a tad towards the stiffer side of things), and with a slightly negative camber setting all around, most times I’ll take corners without the need to brake; I’m not exaggerating here, that’s how sticky the tyres are. The tyres are so sticky in the dry, it took me a few days to get used to the improved steering feel and response. Admittedly, turn-ins are sharper and quicker. Oh, and the other thing I needed to get used to? The noise it makes whenever you drive over those white lines on the road; like trying to tear apart two pieces of papers that have been glued together, if I may. 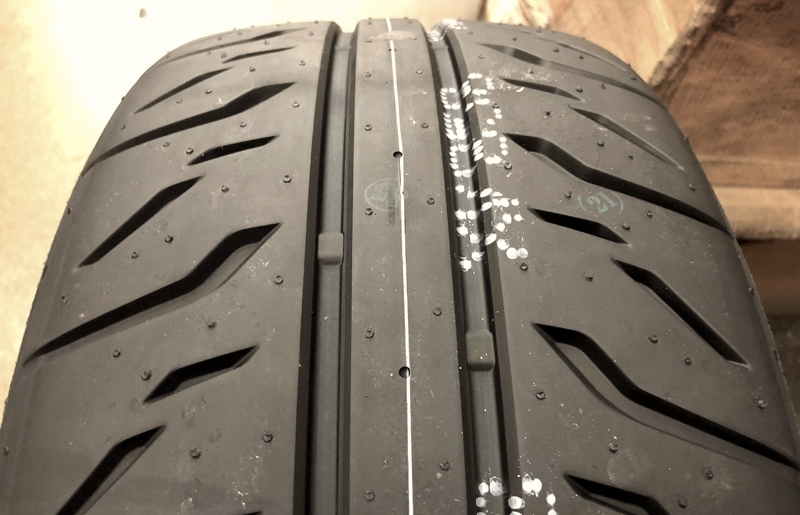 Ride quality is definitely harsher than my previous Pilot Sport 3 (in the same 225/40 R-18 profile), but it’s in no way detrimental for your daily business. For a tyre in this class, it surprisingly is liveable. 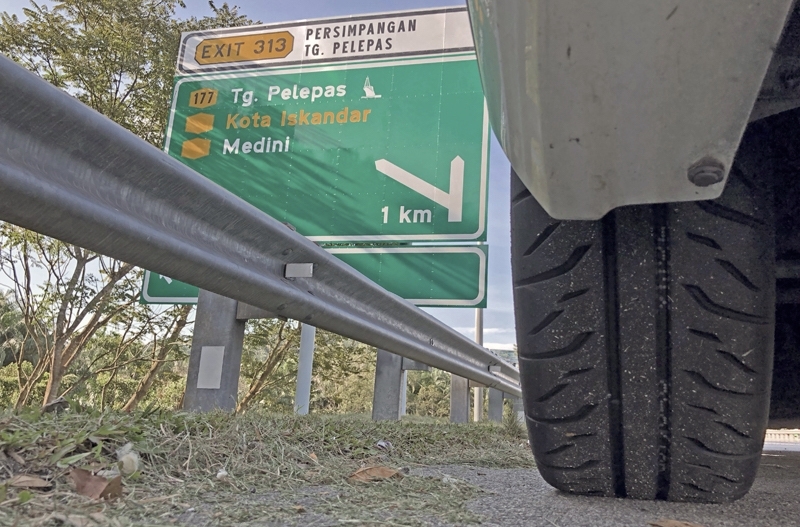 I made a total of four trips up to Kuala Lumpur and back, and impressively, once you get used to the tyre noise – again, I must emphasize it is a given for tyres in this class – the positive feel makes you appreciate this tyre. Taking some of the sweeping corners along the North-South highway at high speed is a, for no better word, breeze. At this point, I’m very sure you’re curious how the RE-71R performs in the wet. 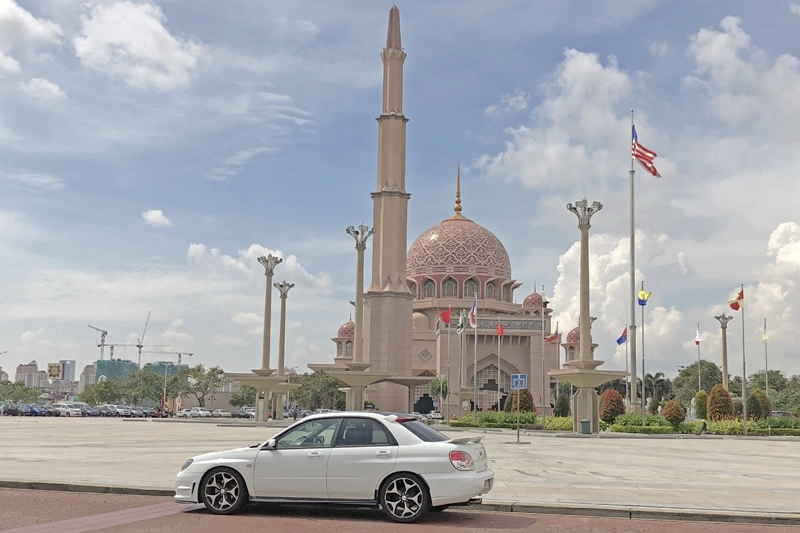 For our road, grip level remains respectable, complimenting the Impreza’s all-wheel drive system beautifully. 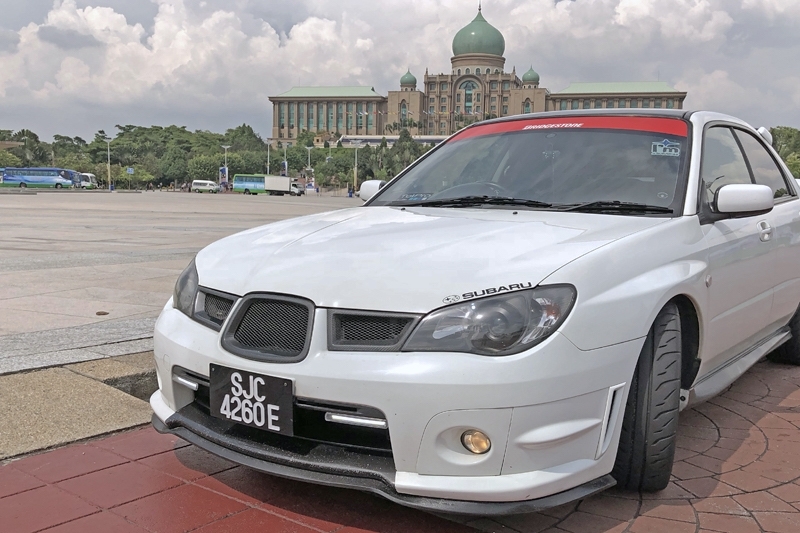 Even if you were to hit deep water puddles at speeds of 80 to 100 km/h, the steering remains straight and along corners, it doesn’t threaten to put you into under or oversteer; there’s constant grip, grip and more grip. This is a positive trait you do not actually expect from a semi-slick; but you are getting it from this particular one. Along the North-South highway where you naturally - ahem - drive faster than normal even in the rain, this Bridgestone ensures you remain in control even when you hit standing water at three-figure speeds. 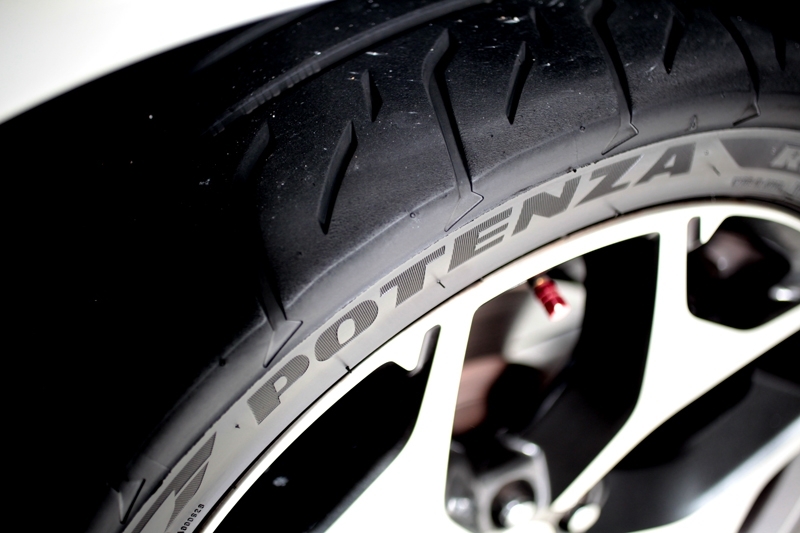 So you see, it just demonstrated that you do not have to be, specifically, a Sepang regular to get this tyre; fact is, most trackies have already recognised this tyre’s potential on track and its everyday useability, the Bridgestone Potenza RE-71R is quickly gaining traction – pun intended – among drivers who want the best semi-slick/sporty tyre in the market right now. It’s undeniably pricey, but as they say, you have to pay for quality. 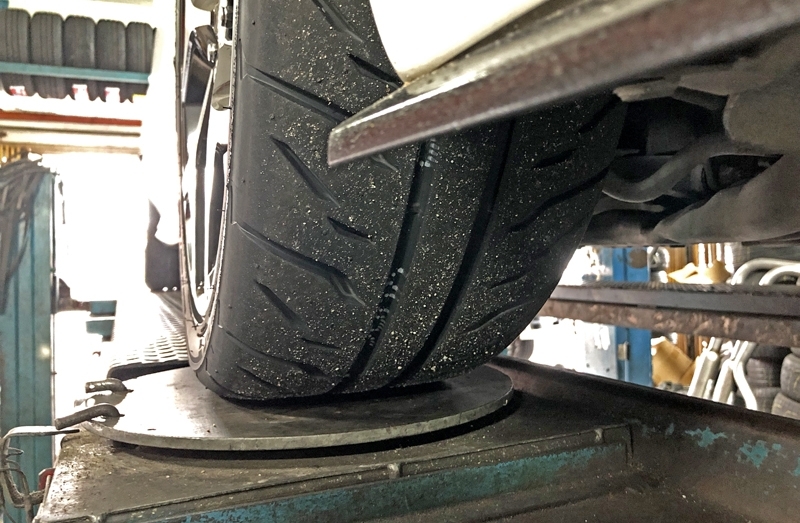 Tyres best enjoyed with some camber adjustment! 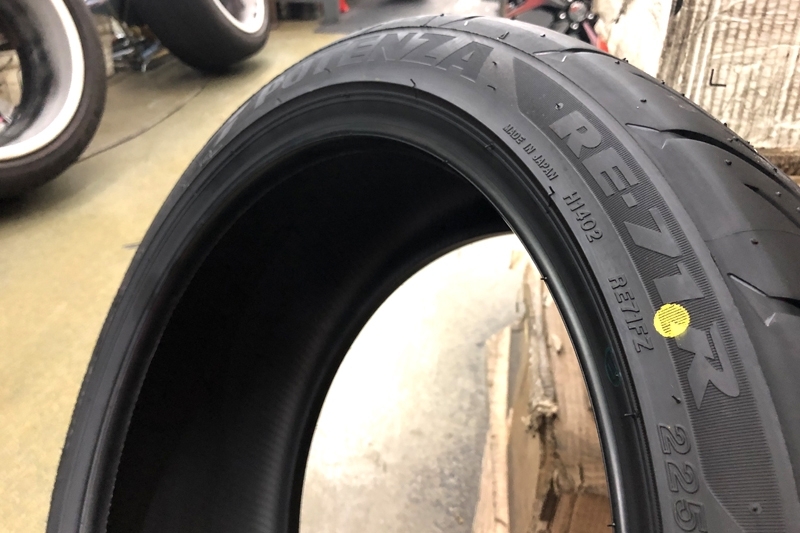 This tyre doesn’t disappoint and I dare say it is a culmination of semi-slicks of yesteryears and then some, combined with the level of wet grip the best ultra-high performance tyre of today offers. 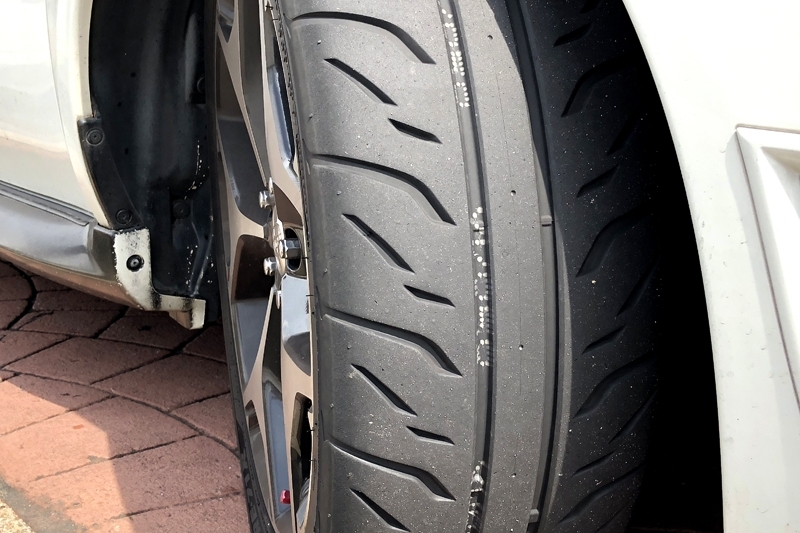 *The 225/40 R-18 profile sampled here retails for S$234 per piece. 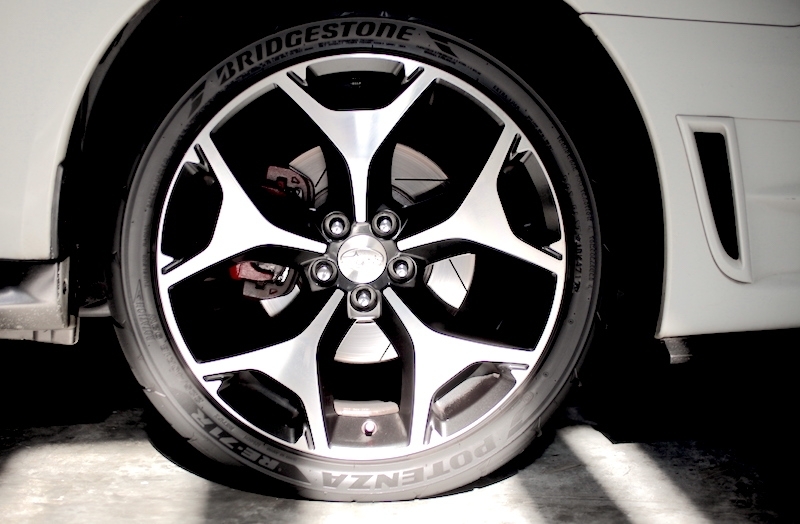 Available in sizes from 15-inch (185/55 R-15) to 20-inch (285/35 R-20), price starts at S$142 to S$480 per piece.